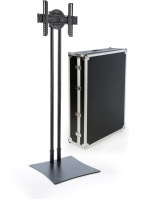 Easily set up professional presentations with this portable TV stand with tripod legs. 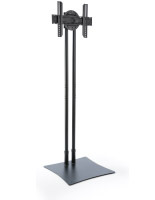 It has five adjustable height settings, and a secure metal pin allows you to set the best monitor position. 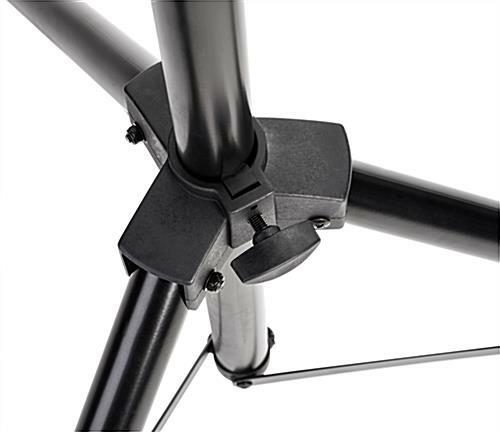 This VESA compatible TV stand with tripod legs has a universal bracket that tilts down 8 degrees. 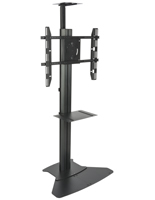 Each flat panel mount can hold maximum load of 77 lbs and accommodate screen sizes between 32” and 55”. 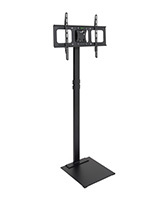 Set up your monitor quickly and easily in smaller spaces such as meeting rooms or classrooms. 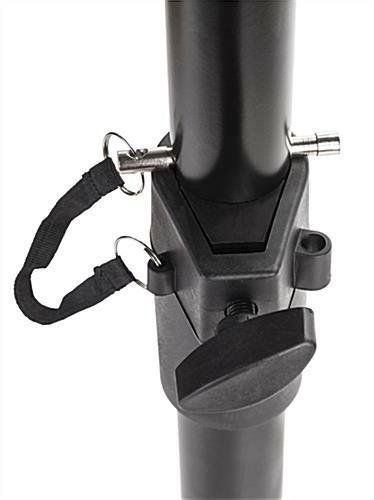 Perfect for workplace or home use, this sturdy adjustable mount has a slim, functional design. 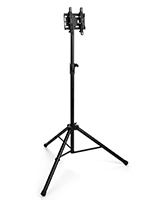 The stand with tripod legs fits well in any environment and folds for easy storage. 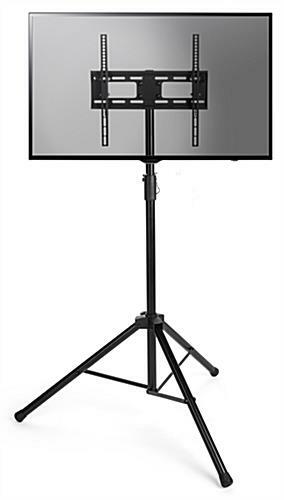 Works with VESA flat panel sizes 200x200, 400x200, 300x300, and 400x400. 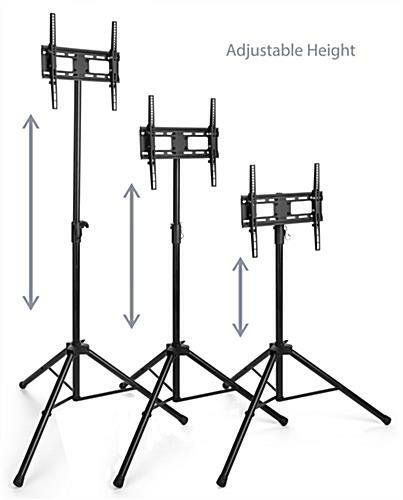 Easy to set up and take down - great for moving between trade shows. Lighter than I was expecting and very compact. Held a 50" TV with no issue and looked great. When traveling to and from trade shows, it's definitely important to have displays that are easily transported and set-up quickly. We're glad that this TV stand proved to be an excellent solution for you, and exceeded your expectations. Thanks for your great review, Steve! 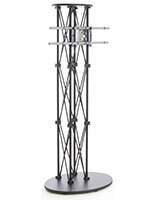 We hope you'll continue to turn to Displays2go for your trade show needs. 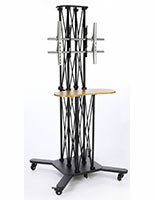 I was looking for a light weight tv stand to use for trade shows. I found this and thought I would give it a try given the price. I was surprised at how sturdy the stand felt once it was set up. 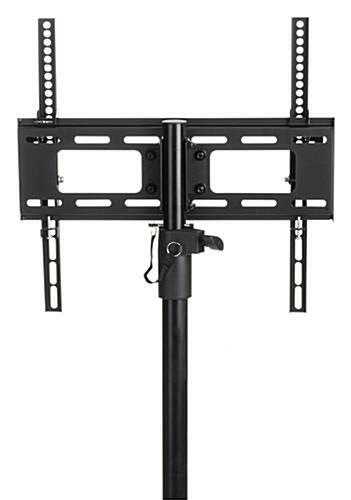 It’s still very lightweight but holds the 40” tv we use well. We will have to see how it holds up on the road. Nate, thank you so much for taking the time to share your photo and to write this excellent review! We are thrilled that our TV stand has exceeded your expectations, and we know it will be a great addition to your trade show booth. If you were impressed by this stand, you may be interested in the hundreds of other high-quality and portable trade show solutions that we offer on our site — from banners and backdrops to all-in-one bundles. 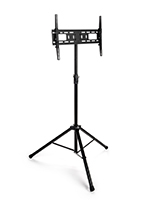 You can browse our expansive selection of trade show supplies here. Thanks again!